Social media marketing is the process of building awareness about you, your products or services through the various social media channels. The ultimate goal of any social media marketing campaign is to drive traffic to a website, increase the visibility of a product, gain more social media followers or find more customers. 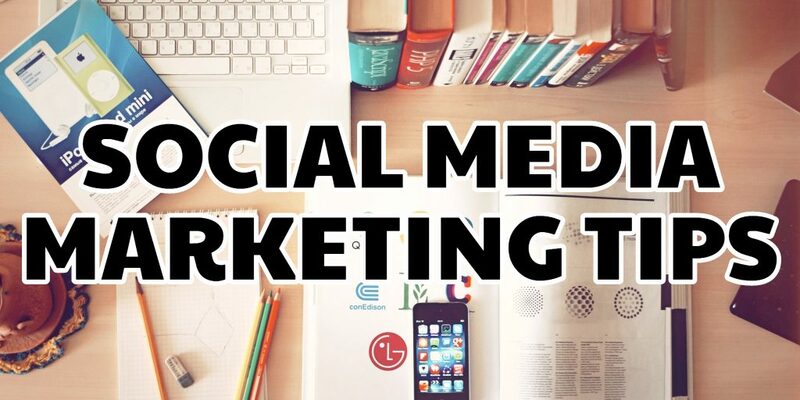 For the beginners on the social media you have to choose one or more social media platforms and start concentrating on them rather than trying to work on all the platforms at the same time. This mistake is being done by many beginners and at the end they start quiting without having any benefit. A great way to find out which social media platform is best suited is find out the influencer’s and start analyzing their point of success. 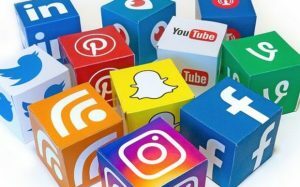 After deciding which tools will you use for the social media platforms, the next step is to optimize your profiles on those social media sites. The chance of getting more followers increases by optimizing your profiles on the social media and it is considered to be the great way for boosting up the SEO efforts. Always use a real photograph showing your face for the profile and always avoid using animals, places or anything that is not real as social media is about getting connected with the people and if want to increase the trust with the people just get out of the cage and put your real face as the profile picture. Always consider to write a good description as a bio about yourself or the company, background and your expertise. Mention this all in your profile. Try to give indication to the users what you are trying to say about, but it is not necessary, that everyone like to read in profile what kind of information is being expected from the particular person. Include a link of your website wherever it is applicable as on the facebook include a link in the about section and as on twitter and pinterest there is separate section for the website link. After making your social media profiles ready the very important next step is making your websites connected with the social media pages as there is a procedure which is to be followed for each social media platforms and making sure that it is done correctly. There should be correct binding between the two which means that search engines and the social media websites should know which websites corresponds with which of the social media. Besides getting your websites connected with the social media business pages, also make sure to add the social media buttons on your websites so that it becomes easy for the readers to share your content on the social media in an easy manner. As a general rule of thumb, make sure that the buttons are kept above the fold in order to increase the exposure keeping in mind that larger buttons gets more number of clicks rather than the smaller buttons. As so far more appropriate social media tools have been selected for our niche, which optimized our social media profiles, make our website connected with the social media web pages and also added social media buttons on the pages for more interaction. The next most mandatory step is to find people for follow so as to build our tribe for followers. This information will be used up by the social media to make suggestions on who to follow, so following popular people is like making them noticed that you are in that niche. When you start following popular people who are likely to get followed by the other people as well. A trick which is being used up by many is to follow the followers of the popular person as they know that some will definitely follow them back. They will start sharing the most important and useful information about the niche so you might get a chance to learn something new and also may re-share with your followers. After getting started to follow people always keep in mind that it is better to keep a proper balance between the number of people followed and the number of people they follow you back. The proper ratio between the followers and the following is important especially for twitter, google plus, pinterest and the instagram which is important for the SEO profile. A profile is considered to be important in case there are more followers than the following and someone being followed by the people who are considered to be the influencers. For the successful social media marketing campaign this is considered to be the great foundation. When it is being talked about publishing the content it is always being said that “ Content is King” and it considered as true in social media also. Sharing of interesting and useful content, for which you get more re-shares, than there will be more number of visitors to your website and under some conditions more customers as well. and the last most important never forget to use hash-tags in your posts which will definitely increase more number of visitors to your website. Postings on the personal page of the facebook can be done as many times you want. Postings on the business page of the facebook should not be more than 1-2 times a day. On twitter the more you tweet more exposure you will get. Postings on the Google+ business profile and the personal profile can be as may times you want but don’t overdo it. Postings on Pinterest is few times a day is enough. As the more concentration is being put on how to get more followers rather following them back those who have already followed them. There should be a habit that everyday you should view the people who are already following you and to decide to whom you should follow back. If this is not done on the regular basis then most will unfollow you and there will decrease in the number of followers. It is rule in social media to keep the spammers away. For example, there is a limit on twitter on the number of people you can follow per day; there is also a limit on Google+ on the number of people you can add/delete from your circles, Facebook has its own rules etc. This means that it may take some time to build thousands of followers so you need to be patient and not try to rush into results either by breaking the rules will suspend your account or by spending your money in ‘buying followers or tweets’ or anything similar.